One of the world’s oldest navy ship commissioned, now serving the Philippine Navy, BRP Benguet will undergo repair and dry-docking. The Armed Forces of the Philippines will apply the sum of PhP40 million for the said project. 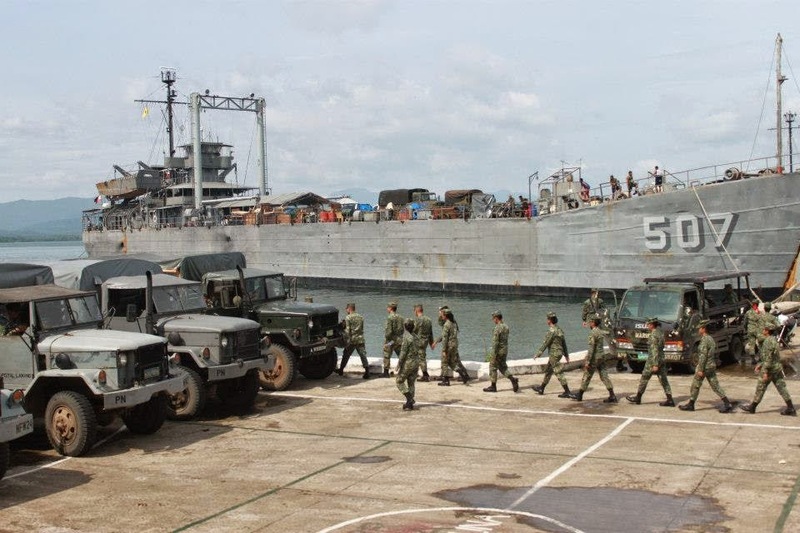 BRP Benguet (LT-507) is a tank landing ship designed for US Navy during the World War 2 era. It was first commissioned way back May 1944. The World War 2 vessel USS Daviess County was transferred to Philippine Navy last September 1976. It then was named BRP Benguet. Benguet is being used by PN to transport soldiers, military cargo and help carry out relief operations. It is also being used to transport civilians when requested. Philippine Navy is currently waiting for the delivery of two brand-new Makassar-class Landing Platform Dock from Indonesia. When delivered, these LPDs can act as PN’s floating command center while carrying out its main purpose as military sealift and transport vessel. 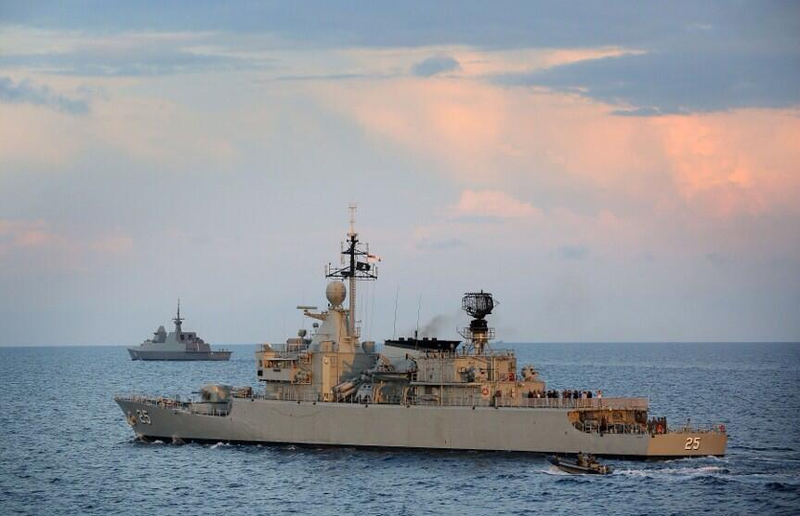 Two Makassar are expected to be supplied in 2016 and 2017. These sealift vessels will be carrying landing craft utility/mechanized, including the upcoming Amphibious Assault Vehicles (AAV) and attack helicopters. The Philippines Coast Guard will receive a new 82 m offshore patrol vessel (OPV) by around 2016, shipbuilder OCEA told IHS Jane's at the Euronaval exhibition in Paris. A EUR90 million (USD113 million) contract for five vessels from France was announced by Philippine coastguard chief Rear Admiral Luis Tuason in 2012. 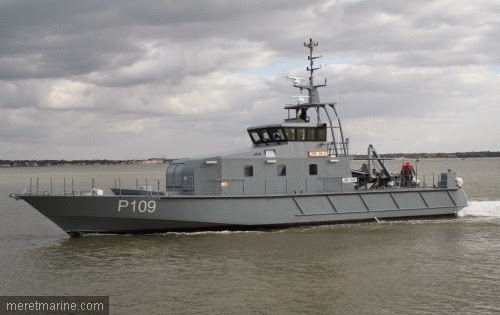 At Euronaval in 2012, OCEA confirmed that four OCEA 24 m FPB 72 patrol boats similar to units delivered to Nigeria and Surinam would partly fulfil this requirement, although whether the final vessel would be a larger OPV was still to be finalised at that time. The larger unit is now confirmed to be based on the company's new OPV 270, with the baseline design featuring an aluminium hull with twin diesel propulsion for speeds of more than 25 kt. SINGAPORE - A giant helium-filled balloon will float above Singapore from early next year to watch over the Republic's skies and shores day and night. 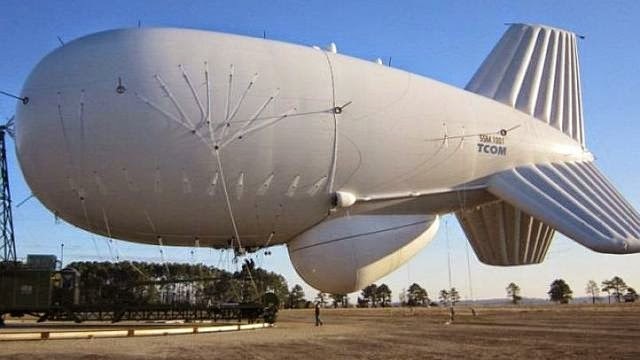 Known as an aerostat, the balloon will be tethered to the ground and house a surveillance radar that can spot hostile aerial and sea threats from as far as 200km away. These include straying civilian light aircraft, small boats and even mobile missile launchers. Defence Minister Ng Eng Hen said on Tuesday that the 55m-long blimp will be deployed from inside a military camp, adding that the balloon will "improve our surveillance capabilities significantly". He however did not disclose the camp's location. 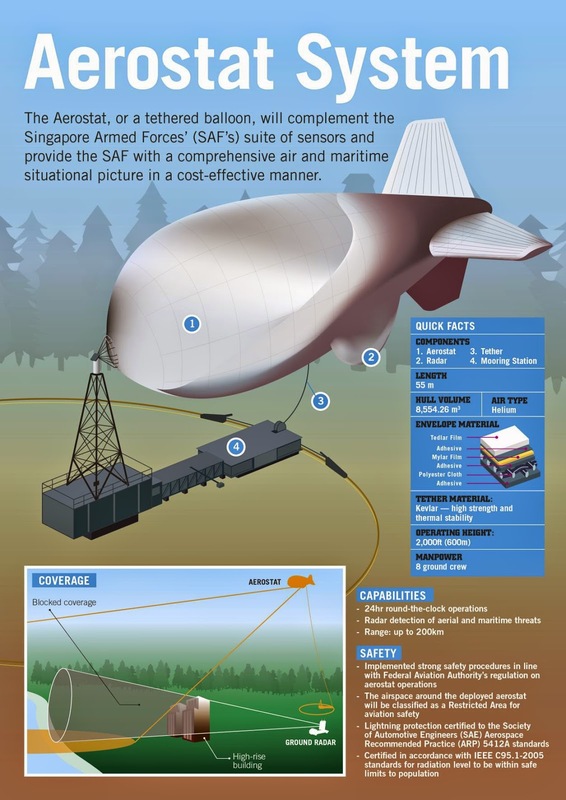 Dr Ng said that the aerostat will complement Singapore's existing early warning and information-gathering systems that are facing increasing constraints, due mainly to the construction of taller buildings that prevent them "from establishing a clear line of sight". "In order to see far, you have to be very high with no buildings to block you...Our ground-based radar systems can only operate above high-rise buildings," said Dr Ng at his ministry's PRoductivity and Innovation in Daily Efforts (PRIDE) Day awards ceremony held at Nanyang Polytechnic . "Airborne radars can go around the clock, but that is costly and manpower intensive." It will be cheaper to launch and operate the aerostat. Dr Ng said the balloon will save about $29 million in operating costs. 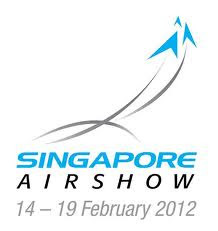 Operated by the Republic of Singapore Air Force, the aerostat can hover at a height of 2000ft, or a 200-storey building, and transmit detailed data to the ground immediately. The information will also be shared with other security agencies such as the Police Coast Guard. Aerostats have been used by law enforcement agencies around in the world since the 1980s. They include the US Customs and Border Protection Agency which uses aerostats to scan the skies for suspicious aircraft activity. 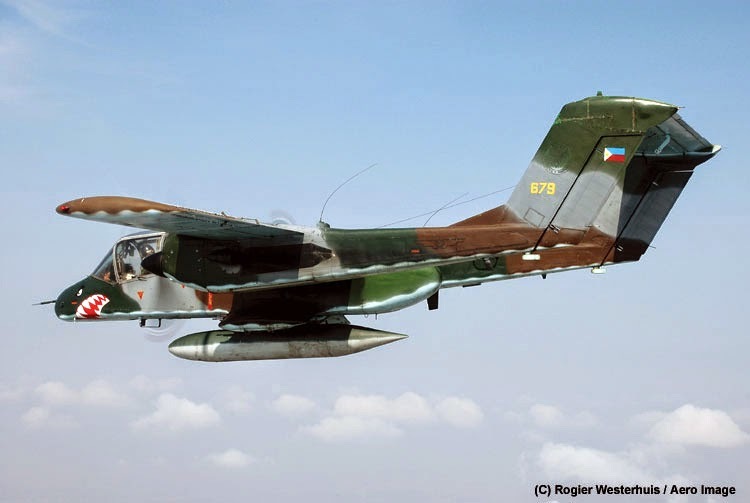 Thirty million pesos is allocated to upgrade one unit of Philippine Air Force’s OV-10 Bronco attack plane. The upgrade and maintenance of OV-10 Bronco with tail number 636 is part of PAF’s efforts to enhance its combat preparedness. Deadline for the submission of bid and the opening of bids is set on November 11 at PAF Procurement Center Conference Room in Villamor Airbase. OV-10 Bronco is a turboprop light attack and support aircraft introduced during 1960s. It was specially develop for counter-insurgency missions. PAF’s OV-10 Broncos have already reached their maximum years of service, for this reason the Department of National Defense is on the process of procuring replacements via its Close Air Support Aircraft Acquisition Project. After several reschedules, deadline of bid submission and the opening of bids is set on November 5 at Camp Aguinaldo. With DND’s acquisition project under AFP Modernization Act, six close air support aircraft worth approximately PhP4.9 billion will be procured for PAF. 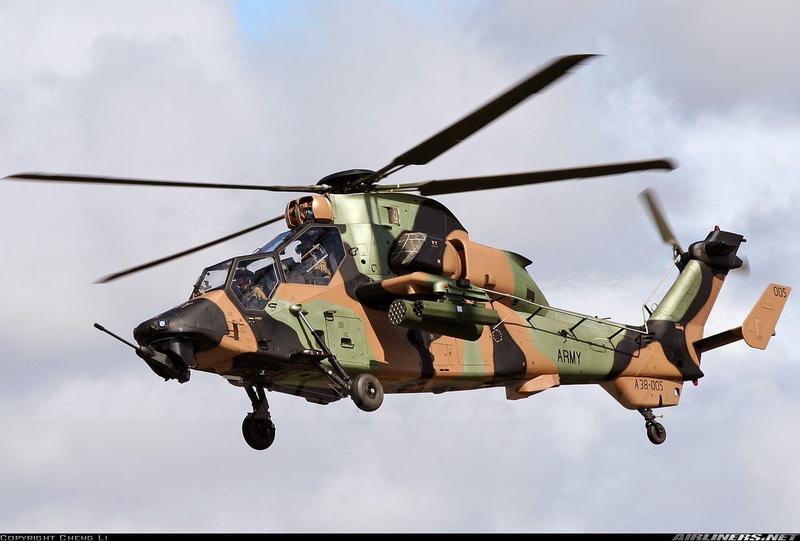 Minister for Defence Senator David Johnston today announced he has given Combined Pass approval for an interim Tactical Data Link for the Tiger Armed Reconnaissance Helicopters in service with the Australian Army. Under LAND 2089 Phase 3B, a total of 21 Tiger helicopters will be upgraded with a tactical information exchange solution that further integrates the Tiger into the combined arms land force battlespace. “The interim Tactical Data Link will improve the Tiger’s situational awareness in the battlespace by improving the helicopter’s ability to receive in flight tactical positioning of friendly and known enemy forces,” Senator Johnston said. Senator Johnston said the project will also inform potential future upgrades for the Tiger that will deliver a fully integrated tactical data link solution after 2020, building on the existing lessons provided by this interim configuration. The acquisition is valued at less than $20 million and will include the associated training and support to fully enable a Tactical Data Link capability. Industry opportunities for this project in acquisition will be predominantly managed by Elbit Systems Australia, as the software and battle management system developer, and Airbus Group Australia Pacific, who will conduct the aircraft technical modification works. Through life support to the project will be managed under existing contract arrangements relating to the particular components of the tactical data link capability. Senator Johnston said the upgrade was an important step in the continued enhancement and modernisation of the ADF as a well rounded, integrated, and capable modern fighting force. Torrential rain and gale force winds failed to stop the delivery of the Royal Australian Navy's first MH-60R Seahawk 'Romeo' naval combat helicopter to HMAS Albatross, Nowra on 14 October. The next-generation maritime combat helicopter was transported by Royal Australian Air Force C-17 heavy lift aircraft from the US Navy Air Station in Jacksonville, Florida, where Royal Australian Navy aircrew have been building their operational experience alongside United States Navy Romeo squadrons. Commander Fleet Air Arm, Commodore Vince Di Pietro, who had tracked the progress of the Romeo since being party to discussions held about their purchase while on posting to Washington in 2006, was first on board the C-17 to inspect the new arrival. "It is absolutely fantastic to welcome the newest member of the Fleet Air Arm to its new home," Commodore Di Pietro said. The Romeos will fly as part of 725 Squadron and will provide ongoing anti-surface warfare and anti-submarine capability to the fleet. Carrying both Mk54 torpedos and Hellfire air-to-surface missiles, it will be able to operate from Navy's Anzac Class frigates and the new Hobart Class air warfare destroyers. Meanwhile the Nowra community can look forward to seeing them in the skies when the helicopter commences air trials next month. A total of 24 Romeo variants are scheduled for delivery to the fleet in the future. Bertempat di Puslatpur Marinir Karang Tekok Situbondo, tanggal 15-17 Oktober 2014, Laboratorium Induk Senjata (Labinsen) mengadakan uji penembakan Rudal AL-1M (Strella) dalam rangka uji litbang Modifikasi Rudal AL-1M. Uji litbang ini merupakan realisasi dari program kerja Labinsen tahun 2014 yang merupakan karya nyata dari Tim Litbang dari Labinsen. Sedangkan tujuannya untuk mengetahui sampai sejauh mana sistem penembakan lama dengan hasil modifikasi yang telah dihasilkan. Modifikasi yang dilakukan oleh Labinsen meliputi Inovasi pembuatan mounting yang tadinya harus ditembakan dengan cara dipanggul oleh penembak (man pad), sekarang dimodifikasi menggunakan mounting dengan 2 (dua) launcher. Mounting ini dapat bekerja sesuai dengan baringan dan elevasi yang diinginkan oleh penembak. Sedangkan cara penembakannya dilakukan dengan System Penembakan Remote Firing. Pada Rudal itu sendiri telah dimodifikasi dengan menambahkan Proximity Fuse sehingga pada jarak tertentu, Rudal dapat meledak sendiri tanpa harus mengenai sasaran. Kelebihan system ini adalah untuk penghancuran sasaran udara yang sangat sulit apabila harus tepat mengenai sasaran (impact). Setelah melalui uji laboratorium yang cukup panjang, akhirnya uji penembakan bisa dilaksanakan dengan baik dan lancar sesuai dengan yang diharapkan dalam pengujian. Penembakan dilakukan terhadap beberapa rudal AL1-M yg belum di modifikasi dan yang sudah dimodifikasi, kemudian dilakukan analisa terhadap hasil penembakan. Uji litbang tersebut dipimpin langsung oleh Kalabinsen Kolonel Laut (E) Endarto Pantja I., S.T., M.T., turut hadir Kepala Arsenal Kolonel Laut (E) Kawahab, S.T. dan Komandan Puslatpur Letkol Marinir Hadi Santoso. The first transport aircraft Airbus DS (Airline Group of the European Airbus) CASA C295M built for the Vietnamese Air Force, made the first flight test on Friday 17/10 . In one image the photographer Guillermo Granger posted on photo sharing sites world-famous aircraft Jetphotos.net shows, the transport body's first C-295M Air Force Vietnam with camouflage paint colors and lines "No military in Vietnam" in the upper body and test number 123 in the rear, made the first test flight at the airport Sevilla San Pablo plant, Spain. Also in the image is the photographer Granger shared the first C-295M built for the Air Force Vietnam had barely even coating red flag with yellow star on the tail. Earlier, sang, told Flight Global magazine earlier this past June, the company director Antonio Rodríguez Barberan DS Airbus said that, at that time, aircraft manufacturing facility of the company in San Pablo (West Spanish), is undergoing final assembly for 3 transport aircraft C-295 (one for Ecuador, one for Egypt and the rest of the Vietnam Air Force). There is also a CN-235 is also being made to force the US coast guard. 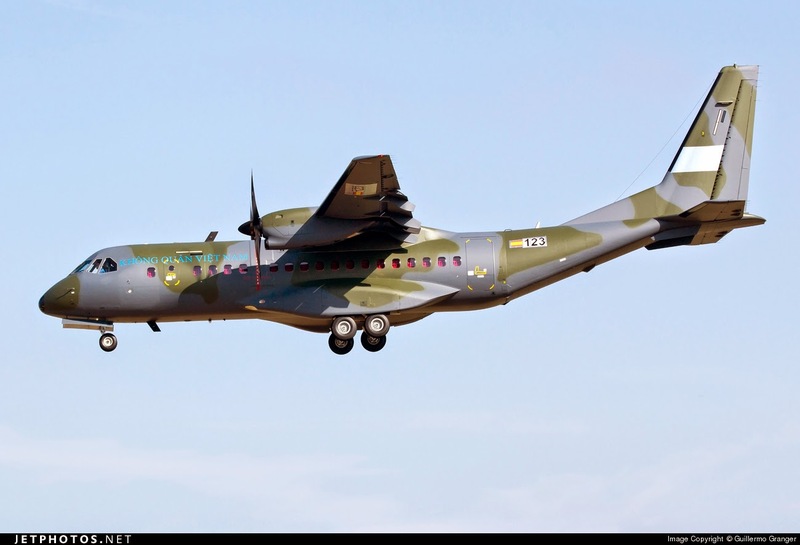 He officially revealed rangViet Barberan South is one of many new customers have ordered 3 transport aircraft C-295 from Airbus DS. According to news agency IHS Jane's disclosure, purchase contract 3 aircraft military transport C-295 from Airbus DS was Vietnam signed in 2013 with a total value of about $ 100 million, which includes the provision of spare parts, maintenance and training for the air force. They are expected to be handed over in about 6 months. It is known that the aircraft have been sold to Vietnam with the basic configuration does not include the additional system comes. IHS Jane's said the C-295 aircraft of the Vietnam first being built in Seville, Spain, although the details of this agreement have not been disclosed. 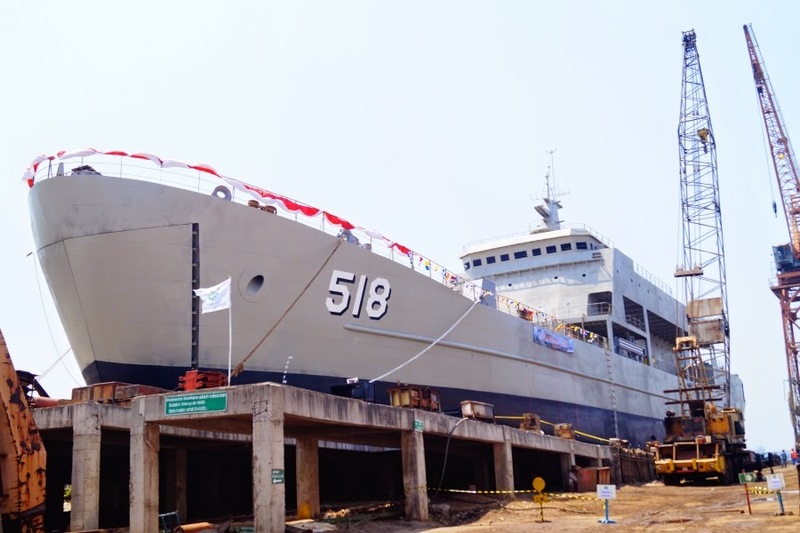 Northern Design Bureau modernizing Vietnamese patrol vessel project PS500, built to his own development in the 1990s. Told corr. TASS bureau director general Vladimir Spiridopulo. 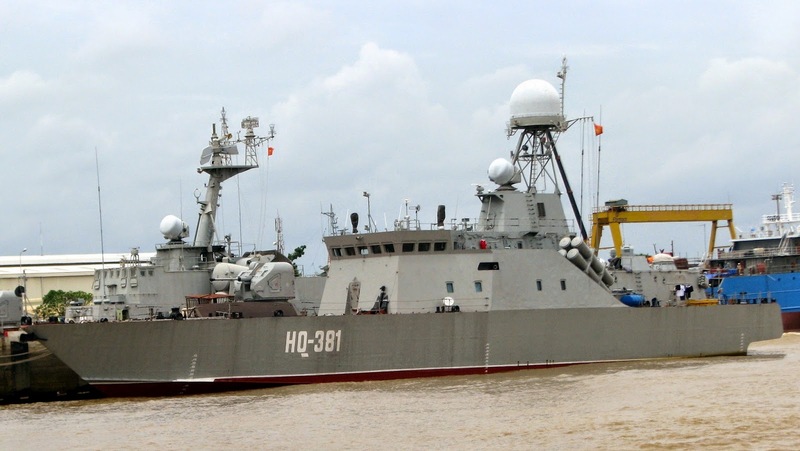 "Through the" Rosoboronexport "we received a contract to repair and upgrade the ship PS500, which is our project in the framework of military-technical cooperation has been built in Vietnam in the 1990s. The ship is already under repair at the factory" Bashon "in Ho Chi Minh City. We acts as the coordinator of the work, integrators, equipment and weapons, which are mainly produced in Russia, and to provide technical support for the project "- said Spiridopulo. He explained that all the systems and weapons will change the ship of the same type, but a more modern version. Displacement PS500 exceeds 600 tons, the ship can reach speeds of 32.5 knots and is equipped with shock complex "Uran-E", artillery caliber 76 mm and 30 mm, as well as portable air defense systems ("Eagle") and machine guns. Four Bell UH-1 Iroquois or Huey helicopters are queued for repairs and maintenance to further enhance Philippine Air Force’s assets. PhP8,838,234.73 is allocated for the said project. PAF is currently in the process of looking for a firm to do the repair and maintenance. PAF is currently operating approximately 20 to 30 Huey helicopters. Aside from four Hueys to undergo repairs, Department of National Defense has acquired 21 refurbished Huey helicopters in which 10 are reportedly delivered. All 21 are expected to be delivered towards the end of the year. 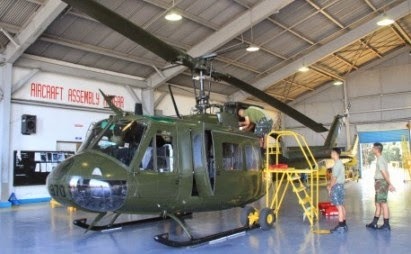 Huey helicopters act as Philippine Air Force’s combat utility helicopters. Roles these helicopters can assume include fire support, cargo transport, MEDEVAC, resupply mission and troop transport. Huey helicopters were first used by US Army in combat operation during the Vietnam War. More that 16,000 units have been produced since early 1950s. It was developed by Bell Helicopter for United States Army as medical evacuation and utility helicopter. The Philippine Coast Guard celebrates its 113th Anniversary today. President Benigno S. Aquino III led the celebration of PCG at its headquarters in Port Area, Manila. 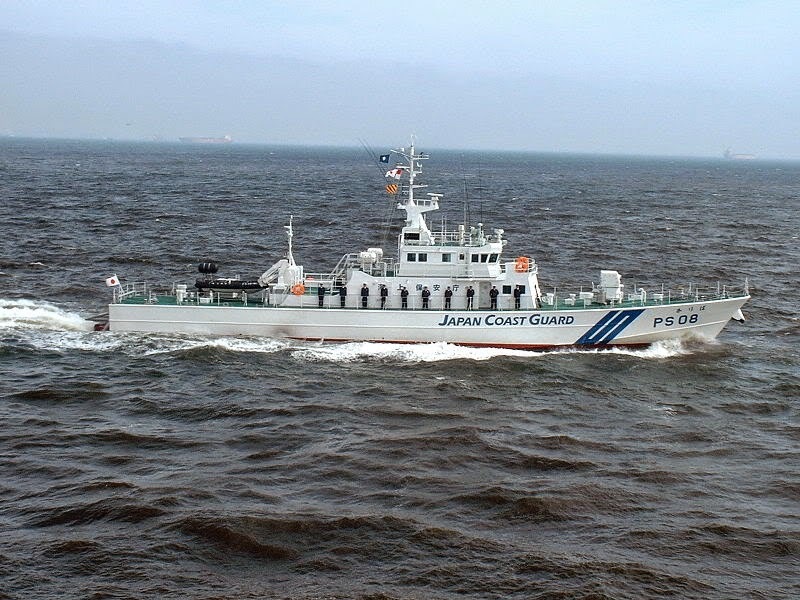 Aquino said on his PCG anniversary speech that delivery of ten 40-meter Multi-Role Response Vessels from Japan will start October of next year. One unit will arrive next year, two more on March 2016, other two on September 2016, three more on April 2017 and the final two on September 2017. Acquisition of ten MRRVs is part of government’s Maritime Safety Capability Improvement Project. The President added that delivery may be earlier than these dates. On April next year the National Coast Watch Center will be finished. President Aquino said that this will operate as communication center of different government agencies to effectively monitor Philippine seas. “We will complement whatever the National Government will ask us to do,” Commander Balilo added. WASHINGTON - The State Department has made a determination approving a possible Foreign Military Sale to Australia for Close-In Weapon System Block 1B Baseline 2 upgrades and associated equipment, parts, training and logistical support for an estimated cost of $76 million. The Defense Security Cooperation Agency delivered the required certification notifying Congress of this possible sale on October 10, 2014. The Government of Australia has requested a possible sale of up to 3 Close-In Weapon System (CIWS) Block 1B Baseline 1 to Baseline 2 upgrade kits: the overhaul and upgrade of up to 9 CIWS Block 1A mounts to Block 1B Baseline 2 systems; 11 Remote Control Stations; 11 Local Control Stations, spare and repair parts; support equipment; test equipment; personnel training and training equipment; publications and technical documentation; U.S. Government and contractor logistics and technical support services; and other related elements of logistics and program support. The estimated cost is $76 million. This proposed sale will contribute to the foreign policy and national security of the United States by helping to improve the security of a major ally which has been, and continues to be a staunch coalition partner and important force for political stability throughout the world. The proposed sale will improve Australia’s maritime defense capability to contribute to national defense and future coalition operations. Australia will use the enhanced capability as a deterrent to regional threats and to strengthen its shipboard defense. Australia will have no difficulty absorbing this new upgrade into its armed forces. The principal contractor will be Raytheon Missile Systems Company in Tucson, Arizona. There are no known offset agreements proposed in connection with this potential sale. REPUBLIKA.CO.ID, JAKARTA -- Badan Koordinasi Keamanan Laut (Bakorkamla) menandatangani nota kesepahaman perjanjian kerja sama (MoU) dengan China National Space Administration (CNSA). Penandatanganan MoU tersebut dilakukan Kepala Pelaksana Harian (Kalakhar) Bakorkamla Laksdya DA Mamahit serta perwakilan CNSA yang juga Duta Besar Cina untuk Indonesia, Xie Fang di kantor Bakorkamla, Jakarta Pusat, Senin (6/10). Laksdya DA Mamahit menyatakan bahwa penandatanganan nota kesepahaman ini sebagai implementasi dari MoU antara pemerintah Indonesia dan Republik Rakyat Cina (RRC) yang berbasis pada Maritime Cooperation Committee (MCC), yang ditandatangani di Beijing pada 23 Maret 2012 antara menteri luar negeri (Menlu) Indonesia dan menlu RRC. "Sebagai implementasi salah satu butir kerja sama tersebut, dalam hal keamanan dan keselamatan laut, Bakorkamla telah melakukan pembicaraan terkait pengguna teknologi terkini untuk monitoring real time kondisi perairan Indonesia dalam hal pengembangan aplikasi penginderaan jauh satelit," ujarnya. 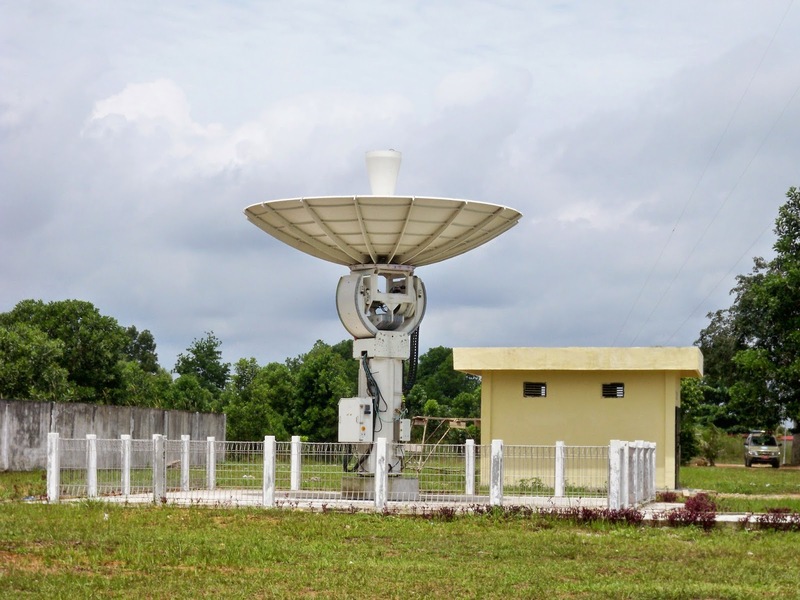 Mamahit menyatakan, pemerintah Cina akan menghibahkan ground station (stasiun bumi) untuk ditempatkan di Bangka Belitung dan Bitung. Dia berharap, setelah alatnya datang dan dilakukan pemasangan, hibah peralatan sensor untuk keamanan laut Indonesia itu dapat digunakan mulai awal tahun depan. Mamahit mengatakan, langkah itu juga didahului dengan dua kali pelatihan staf Bakorkamla di Cina, yang melibatkan seluruh stakeholder sebagai rangkaian proyek besar untuk dapat memiliki satelit sendiri yang dapat memantau seluruh aktivitas di laut berbasis equator. "Hibah peralatan teknologi tinggi berbasis satelit yang diberikan RRC melalui Bakorkamla sejalan dengan sistem peringatan dini keamanan dan keselamatan di wilayah perairan dan yuridiksi Indonesia," kata pria yang juga menjabat sebagai rektor Universitas Pertahanan itu. Sekretaris Pelaksana Harian Bakorkamla, Dicky R. Munaf mengakui, keterbatasan anggaran menjadi faktor utama Bakorkamla menerima hibah dari CNSA. Dia menyatakan, hibah yang diberikan Cina sangat bermanfaat bagi pemantauan keamanan laut di Indonesia. Menurut dia, dengan adanya alat identifikasi tersebut maka lembaganya bisa secara maksimal memberikan layanan kepada pengguna kapal dalam menjalankan aktivitasnya di laut. Kendati begitu, Dicky mengaku juga sudah mempertimbangkan masalah kedaulatan negara dalam penerimaan hibah peralatan berteknologi tinggi yang berbasis pada satelit tersebut. "Kita sudah pikirkan bagaimana cara mengamankan data agar tidak dicuri mereka. Kita berharap bisa semakin menjaga wilayah laut Indonesia agar semakin aman dari gangguan," ujarnya. Menurut dia, peran Bakorkamla ke depan semakin strategis. Pasalnya, program pemerintah yang ingin membangun poros maritim dan tol laut harus diimbangi dengan tingkat keamanan laut. "Untuk apa membangun infrastruktur laut kalau keamanan tidak terjamin? Semakin banyak kapal lewat dan ekonomi bisa lebih efisien, ini bisa membuat biaya pengiriman barang semakin murah. Ini tugas kami melakukan penjagaan, monitoring, dan penindakan hukum di lautan," kata Dicky. Sementara itu, Dubes Cina untuk Indonesia, Xie Fang menginginkan agar setelah penandatanganan MoU ini, hubungan kedua negara bisa semakin erat. RRC dan Indonesia, kata dia, dapat semakin intens dalam menghelat kerjasama di bidang pengamanan wilayah laut. The Australian Defence Forces recently concluded a highly successful trial of BAE Systems’ Advanced Precision Kill Weapon System (APKWS™) laser-guided rocket for use on its Army and Navy helicopters. 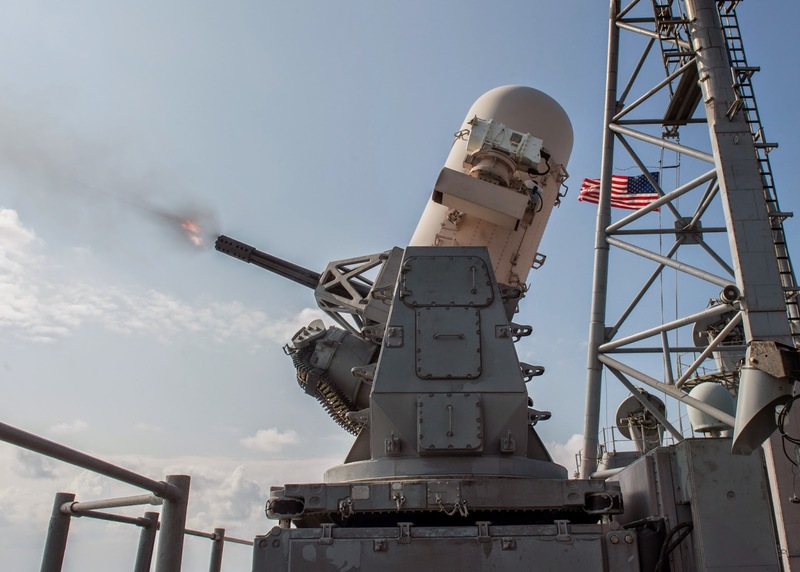 The ground trial marks the first time the APKWS technology, which transforms a standard unguided 2.75-inch (70-millimeter) rocket into a precision laser-guided weapon, has been demonstrated on a Forges de Zeebrugge (FZ) rocket. During the ground-based live fire event in August, held at the Woomera Prohibited Area test range in South Australia, the APKWS laser-guided technology was on target with all seven shots fired while integrated with the FZ90 rocket motor and warhead. There was no modification required to the guidance kit to integrate with the FZ rocket. 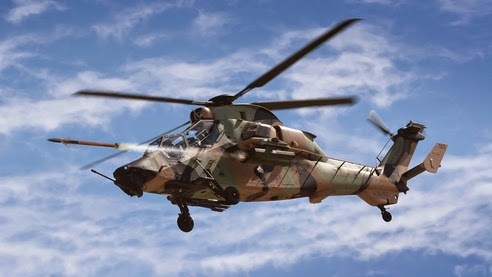 Based on the successful test, the Australian Army intends to conduct a live fire flight trial in November that could lead to the APKWS rocket fielding on the Army’s Airbus Tiger Armed Reconnaissance Helicopter and Navy’s MH-60R Seahawk platforms beginning in 2015. Conducted by the Australian Aerospace Operational Support Group, the trial was designed to qualify the APKWS rocket for use by the Australian military to bridge the current capability gap between unguided small-diameter rockets and larger-diameter anti-armor munitions. Unlike other available offerings, the flexibility of the APKWS technology allowed the Australian Defence Force to move from concept to live fire trial in a matter of months while using its current rocket inventory and equipment. BAE Systems is the prime contractor for the APKWS rocket, which is available to international customers through the U.S. Foreign Military Sales program. Deployed in combat since 2012 by the U.S. Marine Corps, the APKWS rocket is the U.S. Department of Defense’s only fully qualified guided 2.75-inch rocket that uses semi-active laser guidance technology to strike soft and light armored targets. More information on the APKWS rocket can be found at www.baesystems.com/apkws. SURABAYA - TNI terus memoderenisasi peralatan perangnya. Langkah tersebut menjadi tuntutan bagi TNI dalam menjaga kedaulatan negara. 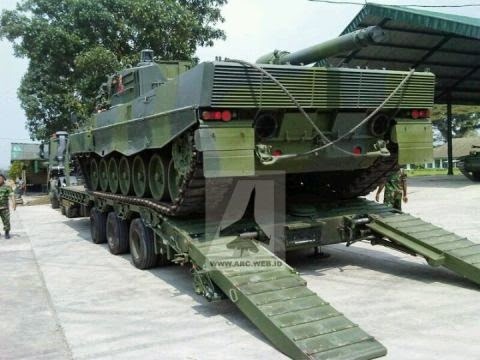 Salah satu armada tempur terbaru yang dimiliki Indonesia ialah transporter, yakni truk pengangkut untuk tank Leopard. Transporter ini mempunyai beberapa keunggulan, di antaranya mampu mengangkat beban seberat 90 ton. Tidak hanya itu, armada buatan Italia ini mampu bergerak dalam jarak yang cukup jauh. Dalam pengoperasiannya, truk ini dilengkapi dengan lowbed doll buatan Jerman. Keistimewaan yang dimiliki lowbed doll yakni memiliki tujuh sumbu yang memungkinkan seluruh rodanya mampu bergerak secara bersamaan sehingga menjamin kelincahan dengan radius putar yang kecil. 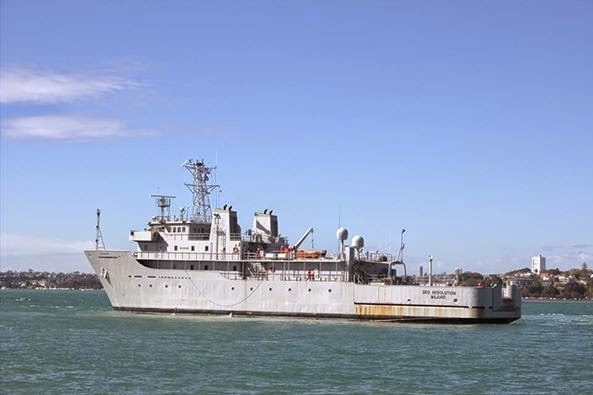 The decommissioned survey and littoral warfare support ship HMNZS RESOLUTION has been sold and left Devonport Naval Base on Saturday, 11 October 2014 as GEO RESOLUTION, the latest addition to the fleet of international maritime survey company EGS Group. This photo shows the RESOLUTION departing the base for the last time. RESOLUTION (formerly USNS TENACIOUS) was bought from the US and commissioned in February 1997. It was decommissioned in April 2012. MANILA, Philippines — New attack helicopters that can operate in the dark are set to arrive for the Philippine Air Force, Armed Forces of the Philippines chief Gen. Gregorio Pio Catapang said. The new units will have night vision capability allowing pilots to target hostile subjects even in the dark. "We have capable helicopters arriving for the PAF," Catapang said while touring in Sulu on Sunday, according to a state news report. Catapang said that the new helicopters set to arrive this year shows progress in the military's modernization campaign. The Air Force earlier selected eight pilots to man and operate the AgustaWestland AW-109 Power helicopters and sent them to train in Costa di Samarate, Italy. Also undergoing training are 22 maintenance personnel. 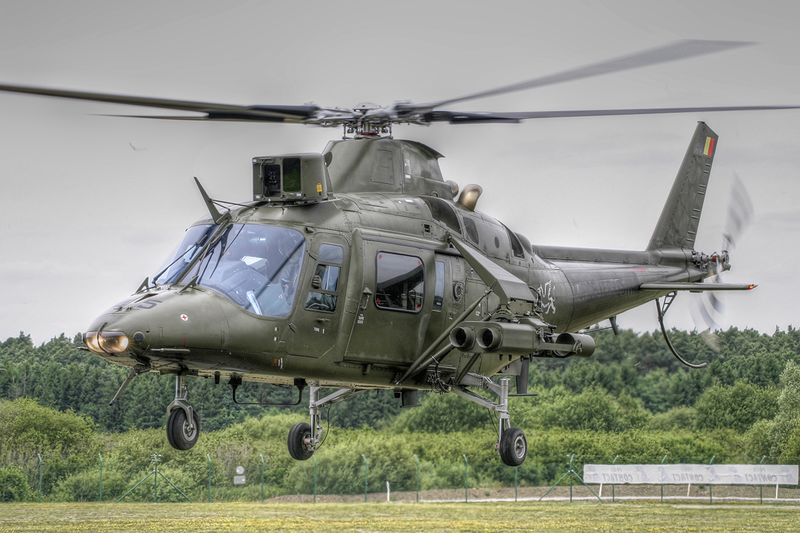 The Air Force signed the contract for eight AW109 Power light twin helicopters last November. The P3.44-billion contract includes initial logistics support and training for aircrew and maintenance personnel, the Italian firm said. "These aircraft will be used to perform a range of duties including homeland security, armed reconnaissance and close support," AugustaWestland said in an earlier statement. The AW109 Power is a three-ton class eight seat twin engine helicopter, dubbed as the most cost effective helicopter in its class for a range of government tasks. 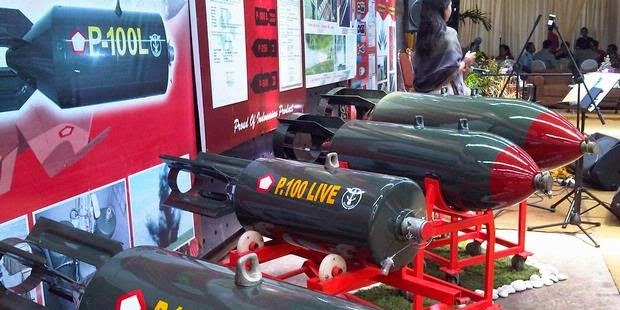 PT DAHANA (Persero) kini tengah menggarap persiapan produksi bahan peledak militernya, yaitu bomb P 100 Live untuk amunisi pesawat Sukhoi. Sebelum jauh memasuki produksi massal, Kepala Dinas Penelitian dan Pengembangan TNI Angkatan Udara Marsekal Pertama Amirudin Akhmad mengecek langsung perkembangan persiapan alat produksi yang dimiliki oleh Dahana yang berada kawasan Energetic Material Center (EMC) Dahana Subang. Kedatangan Amirrudin Akhmad pada Selasa, 30 September 2014 bersama timnya disambut langsung oleh F. Harry Sampurno Direktur Utama PT DAHANA (Persero) beserta tiga direksi lainnya. “Kami ingin mengetahui, sudah sejauh mana perkembangan persiapan proyek Bomb P 100 L yang sudah dilakukan oleh DAHANA, karena sebelum menuju produksi massal, DAHANA sudah harus mempersiapkan Protoype P 100 L yang nantinya akan kami uji untuk mendapat sertifikasi, apakah cocok dengan kebutuhan kita,” terang Amirudin Akhmad kepada Dfile. Untuk melihat langsung persiapan yang telah dilakukan oleh DAHANA, Tim EMC mengajaknya untuk meninjau langsung perlengkapan yang sudah dipersiapkan dan disimpan sementara di Gedung Workshop DAHANA. Nampak beberapa perlengkapan yang telah disiapkan pada tahap awal ini. Lempengan cetakan untuk uji kepadatan handak serta alat pemanas dan pendingin yang akan digunakan saat pengisian bahan peledak pada bomb produksi P 100L. Tim juga diajak mengecek laboratorium sebagai tempat uji formula serta meninjau langsung pabrik meltpour yang nantinya sebagai tempat pengisian handak bomb pesawat Shukoi. Melihat apa yang telah disiapkan oleh DAHANA, Amirudin Akhmad pun berharap DAHANA untuk segera menyelesaikan tahap awal pembuatan P 100 L. “Kita kan mulai lagi dari nol, jika melihat apa yang telah disiapkan untuk langkah awal sudah sangat memadai, oleh karena itu saya berharap ini secepatnya terealisasi agar nantinya bisa memasuki tahap produksi missal,” ujar Amirudin Akhmad. Dalam menangani proyek ini, PT DAHANA (Persero) tidak sendirian, namun menggandeng perusahaan swasta untuk bekerjasama, PT Sari Bahari dalam pembuatan body P 100 L.
Bom P 100 L merupakan bomb yang akan dipasang pada pesawat Sukhoi. Bomb ini memiliki warna khas yaitu hijau yang panjangnya 1.130 mm dengan berat 100 sampai 125 kg, berdiameter 27 mm dan memiliki ekor yang panjangnya 410 mm. 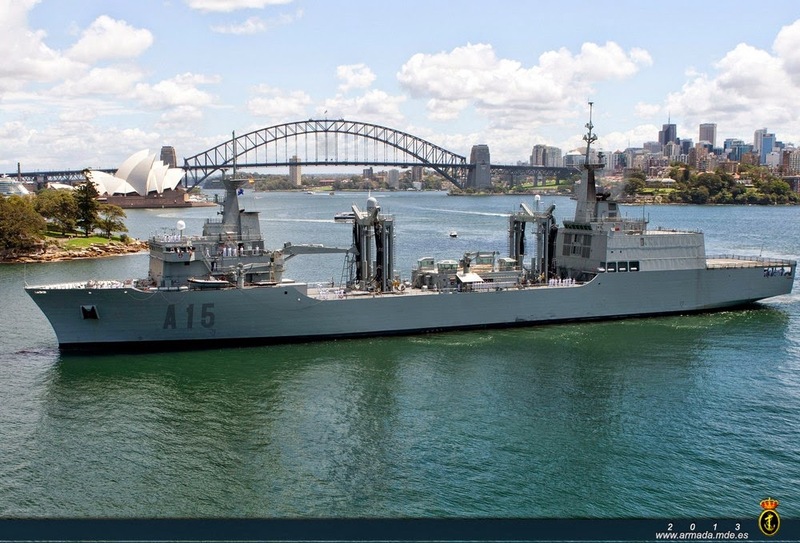 Navantia and DMO of Australia have signed the contract for the RRDS (Risk Reduction Design Study) Australian AOR supply ship, called program SEA1654. The contract signing was held at the naval base at Garden Island and attended Admiral Purcell and Patrick Fitzpatrick, both of DMO, the Commercial Director of Navantia, Gonzalo Mateo-Guerrero, and the Director of Navantia Australia, Francis Baron . The contract, which will take approximately 8 months to analyze the design of the Buque de Aprovisionamiento de Combate/Combat Supply Ship (BAC) "Cantabria", built by Navantia for the Spanish Navy, addressing specific requirements Australians. With this phase of study the process of acquiring two supply ships AOR by the Australian Government starts. Navantia has been shortlisted, along with another company, as a possible supplier of ships. After this phase, the Australian government will begin the final phase by a request for tender for the construction of ships. This event, coupled with the recent acceptance of "Canberra", the first of the two amphibious ships ALHD built by Navantia and BAE Systems, by the Commonwealth of Australia, is another milestone in Navantia and shows the importance of this country as a client strategic for the company. The BAC "Cantabria", delivered by Navantia in 2010, was deployed for several months in Australia, with a mission to integrate and operate with the Royal Australian Navy (RAN). JAKARTA, KOMPAS.com — Presiden terpilih Joko Widodo dinilai telah memahami konsep pertahanan negara kuat yang harus diterapkan di negara maritim seperti Indonesia ini. Salah satu langkah yang dapat dilakukan untuk melindungi wilayah laut dan udara Indonesia ialah dengan memiliki pesawat tanpa awak (unmanned aerial vehicle-UAV) atau drone. "Generasi perang mendatang dibutuhkan integrated power, beliau (Jokowi) sudah paham soal perlunya powerful defence," kata pengamat militer dan pertahanan, Connie Rahakundini Bakrie, saat menjadi pembicara dalam diskusi bertajuk Mewujudkan Indonesia sebagai Poros Maritim Dunia: Dari Negara Kepulauan Menuju Negara Maritim di Lembaga Ketahanan Nasional (Lemhannas), Kamis (9/10/2014). Connie mengaku, beberapa waktu lalu, ia sempat berbincang dengan Jokowi soal rencana pembelian pesawat drone tersebut. 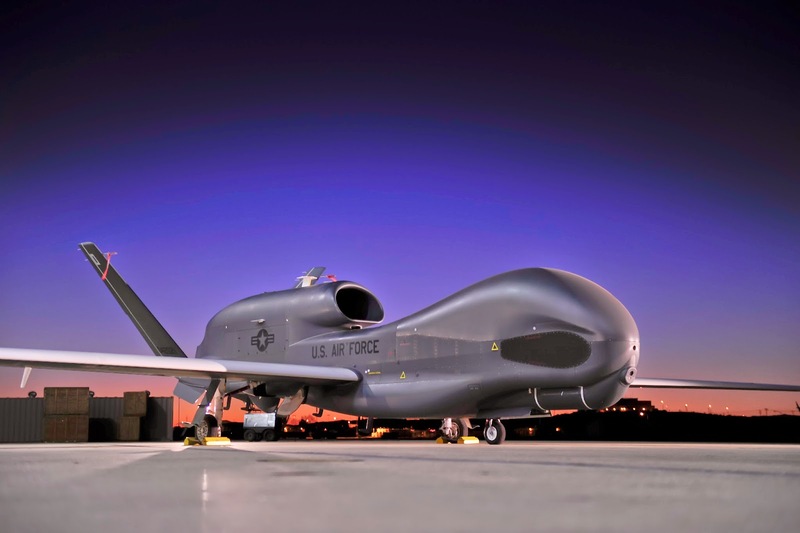 Kepada dirinya, Jokowi mengaku hendak membeli tiga unit drone sejenis Global Hawk, yang dibuat Amerika Serikat. Ia menuturkan, harga satu unit drone tersebut terbilang cukup fantastis, mencapai Rp 4,3 triliun. Karena itu, dibutuhkan anggaran sebesar Rp 12 triliun sampai Rp 13 triliun untuk membeli ketiga drone tersebut. "Harga itu tidak terlalu mahal jika dibandingkan dengan keuntungan yang diperoleh karena bisa melindungi potensi kerugian Rp 300 triliun atas aksi pencurian ikan dan sumber daya alam yang terjadi di negara kita," kata Connie menirukan pernyataan Jokowi. Setelah melalui persiapan dan perhitungan yang matang, akhirnya Kapal Angkut Tank (AT-I) pesanan Kemenhan RI pada tanggal 26 September 2014 akhirnya dapat diluncurkan dengan selamat di area Building Berth Kalimati Galangan – I DKB dengan menggunakan peluncuran airbag system. Peluncuran tersebut dilaksanakan oleh DKB Galangan – I bekerjasama dengan mitranya yaitu PT. Samudera Rasaki Teknindo (Smart) yang bergerak dibidang marine service, salvage dan underwater works yang berkantor pusat di Batam. Peluncuran yang disaksikan oleh Direksi DKB, GM Galangan I beserta staf dan para undangan dari Kemenhan RI, TNI – AL, Syahbandar, dll dimulai pada tanggal 25 September 2014. Tetapi karena pada saat pelepasan Stop-block terdapat adanya kendala, sehingga ketinggian air pasang laut yang dipersyaratkan sudah mulai surut, sehingga peluncuran dilanjutkan pada hari berikutnya yaitu pada tanggal 26 September 2014 untuk mendapatkan air pasang yang dipersyaratkan kembali. Sehingga pada hari kedua tersebut kapal dapat diluncurkan dengan lancar dan selamat. Dalam proses peluncuran tersebut dipergunakan 24 unit Airbag milik PT. Smart, yang terdiri dari 10 unit ukuran panjang 14 M diameter 1,8 M dan 14 unit Airbag ukuran panjang 12 M diamter 1,5 M. Alat-alat pendukung yang diperlukan seperti 2 Unit Tug Boat, 1 Unit Speed Boat, Compressor, Alat-alat Angkat seperti Crane dan Forklift, Safety Concerte Block, Winch, dll yang disiapkan oleh Galangan – I.
Proses Peluncuran dengan Airbag System ini sudah sering dilakukan oleh PT. Smart di berbagai medan dan bermacam-macam lokasi. Bahkan PT. Smart berpengalaman juga meluncurkan kapal-kapal yang jaraknya cukup jauh dari pantai.seperti kapal-kapal yang karam diberbagai lokasi akibat Tsunami di Aceh beberapa tahun yang lalu. Untuk proses peluncuran Kapal AT-I yang beratnya sekitar 2.600 Ton (Displacement) dan kemiringan landasan luncur sekitar 2,6 derajat termasuk kemiringan yang cukup tajam untuk teknik peluncuran dengan Airbag. Sehingga diperlukan kehati-hatian dan persiapan serta perhitungan yang matang sebelum proses peluncuran dilaksanakan. 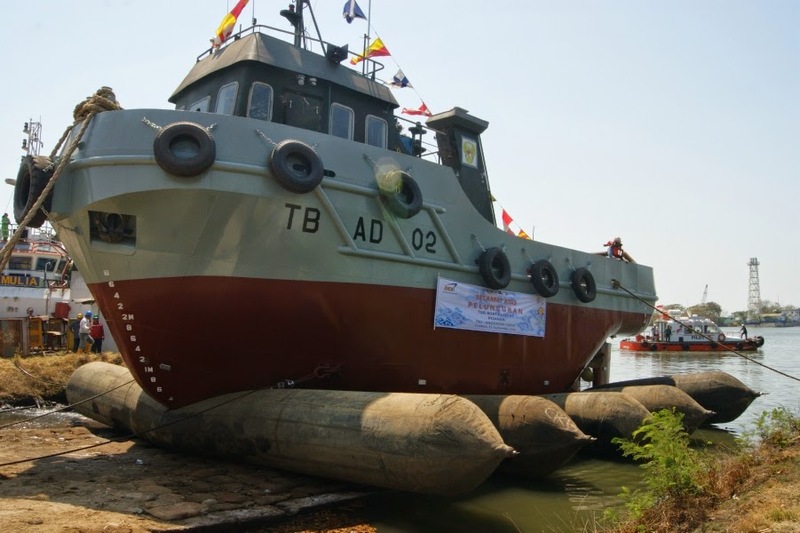 Peluncuran Kapal Tug Boat 2 x 450 HP TNI-AD di PT. DKB Cabang Cirebon pada hari Kamis tanggal 17 September 2014 pukul 10.00 WIB bertempat di PT. DKB Cabang Cirebon, peluncuran dengan System Air Bag lokasi di Dok Asih berjalan dengan lancar. Dilanjutkan Tanda Tangan Berita Acara Peluncuran Kapal dihadiri oleh Wakil Direkutr Pembekalan Angkutan Angkatan Darat / Kolonel Cba. F. Albert Embran, Direktur Utama PT. Dok & Perkapalan Kodja Bahari / Bpk. Tjahyadi Dermawan. SH, IRLOG ITJENAD / Bpk. Adi. S, Tim Wasnik AD / Letkol Cba. Suyono, Letkol. M. Hasran, Mayor Cba. Djawahir, Kapten Eko Setyo Budi beserta para Tamu Undangan terkait. Sebagaimana yang disampaikan Kepala Cabang PT. DKB Cirebon Bpk. Ir. Wuryanto. DN yang di dampingi oleh Wakil Kepala Cabang Bpk. Ir. Andi Temmupage. MM, Kapal tersebut mengacu dengan Kontrak Pembangunan No. 04/DN/ALANGAIR/DITBEKANGAD-2013, tertanggal 17 Juni 2014 dengan No. Pembangunan DKB/1357/CRB, No. Order 3001/CRB/VI/2013. Kapal Tug Boat ini desain sepenuhnya dibuat oleh putra–putri terbaik Divisi Engineering PT. DKB berdasarkan Spesifikasi keinginan dan harapan pemesan. Walaupun kapal ini berukuran tidak besar tetapi proses pembangunannya dilakukan dengan urutan kerja sebagaimana kapal–kapal berukuran besar serta mengacu kepada regulasi Biro Klasifikasi Indonesia. Semoga hasil karya putra-putri terbaik PT. DKB ini dapat sebagai sumbangsih dan pengabdian pada bangsa dan Negara. Penguasaan informasi menjadi penekanan pertama sebelum melaksanakan operasi militer perang (OMP). Bagaimana kita akan melakukan suatu penyerangan terhadap kekuatan musuh kalau tidak menguasai informasi mengenai seberapa besar kekuatan musuh dan apa yang akan dilakukan musuh terhadap kita. Asisten Operasi KSAU Marsda TNI Sudipo Handoyo menjabarkan hal tersebut kepada Angkasa di kantornya bulan lalu. Menurut Sudipo, upaya penguasaan berbagai macam informasi tengah dan harus dilakukan TNI AU. Untuk mencapai taraf ini, TNI AU harus melengkapi beragam perangkat perang informasi yang dibutuhkan. Dalam melaksanakan kampanye perang udara, seperti telah dilakukan dalam format latihan gabungan, TNI AU telah mengedepankan faktor perang informasi. Informasi kekuatan musuh dikumpulkan sebanyak-banyaknya dan kemudian digunakan sebagai dasar melaksanakan strategi penyerangan. “Jangan sampai kita berniat mau melakukan pengeboman terhadap kekuatan musuh di suatu pangkalan, ternyata musuh telah memindahkan alutsista dan kekuatan tempurnya lebih dulu,” ujarnya mencontohkan. Menghancurkan musuh di basis kekuatannya sendiri, seringkali dianggap sebagai suatu tindakan agresi. “Pemahaman kita yang salah, yang akhirnya melahirkan opini bahwa kalau kita menyerang musuh di luar wilayah NKRI maka kita dianggap menjadi negara agresor. Padahal itu bukan agresi, sejatinya ini merupakan bagian dari suatu operasi perang udara,” tandas mantan Komandan Seskoau ini. TNI AU lanjut Sudipo, memiliki doktrin operasi udara strategis, yaitu menghancurkan musuh di negaranya. “Kalaupun musuh masih lolos juga masuk ke wilayah udara kita, maka kita lawan dengan operasi lawan udara ofensif. Di situ para penerbang tempur kita berjibaku menghadang mereka,” paparnya. Kekuatan musuh yang berhasil masuk, akan memungkinkan terjadinya peperangan di laut dan daratan. Hal ini yang sering diskenariokan dalam latihan gabungan, dimana musuh dari suatu negara berhasil masuk menguasai beberapa wilayah NKRI, dan baru setelah itu dihancurkan melalui suatu operasi gabungan. Mengenai penambahan alutsista, Asops KSAU menjelaskan. 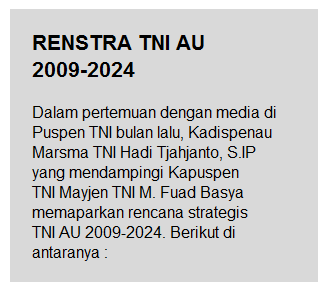 Sesuai rencana strategis yang dituangkan dalam Minimum Essential Force (MEF) tahap I (2009-2014), TNI AU saat ini tengah menunggu beberapa pesawat yang sudah dibeli namun belum datang semua. 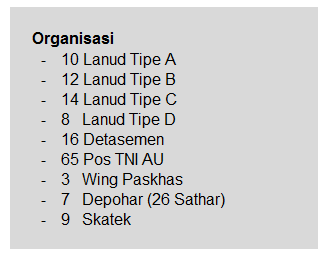 Di antaranya F-16C/D 52ID yang akan lengkap datang 24 unit tahun depan. Pesawat ini akan mengisi Skadron Udara 16 di Lanud Roesmin Nurjadin, Pekanbaru dan sebagian lagi mengisi Skadron Udara 3, Lanud Iswahjudi, Magetan. Fasilitas Skadron Udara 16 saat ini sudah lengkap, mulai dari shelter, hanggar, perkantoran hingga perumahan dinas. (Pada saat artikel ini diturunkan, Skadron Udara 16 rencananya akan diresmikan oleh Presiden Susilo Bambang Yudhoyono akhir September 2014). Selain Skadron Udara 16, TNI AU akan membangun Skadron Udara 33 di Lanud Sultan Hasanuddin, Makassar. Skadron ini akan diisi pesawat C-130H yang merupakan hibah dan beli dengan harga murah dari Australia. TNI AU juga akan membentuk Skadron Udara 27 di Lanud Halim Perdanakusuma untuk pesawat CN295 yang menggantikan Fokker 27. 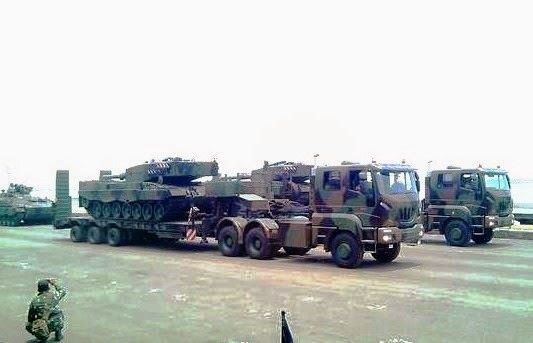 Saat ini tujuh CN295 dari PT DI sudah diserahkan kepada TNI AU dan akan terus ditambah hingga menjadi 16 unit. Sementara Skadron Udara 2 yang saat ini menaungi CN295, tetap akan mengoperasikan CN235. 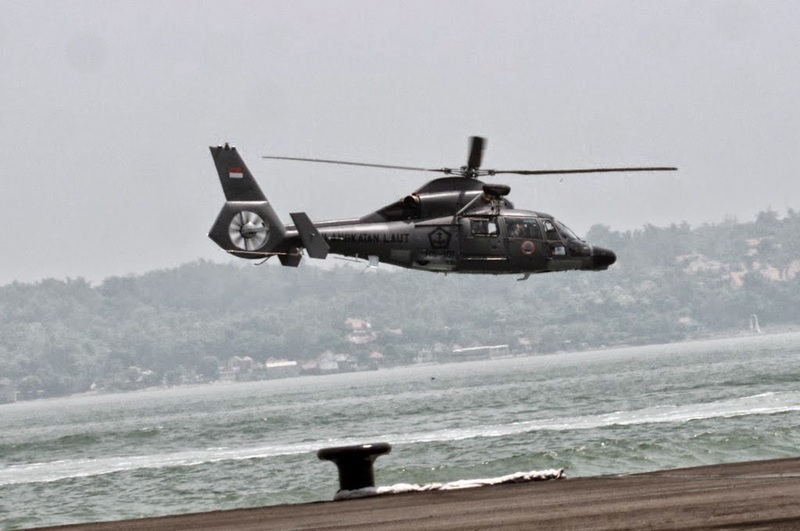 Rencana berikutnya, adalah pembentukan Skadron Udara 9 di Kalijati yang akan diisi helikopter Combat SAR EC725 Cougar. Tahun ini dijadwalkan empat Cougar akan tiba di Tanah Air. Ke depan TNI juga akan membentuk Skadron Udara 18 di Manado yang akan diisi pesawat intai taktis. "Mungkin sekelas CN235 atau CN295," ujar Sudipo Handoyo. 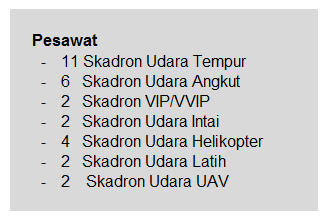 Sementara Skadron Udara 5 akan diisi pesawat intai strategis B737-200 Surveiller, namun perangkat pesawatnya akan ditingkatkan. Pesawat lain yang masih ditunggu adalah EMB-314 Super Tucano dari Brasil yang baru datang empat unit dari pembelian 16 unit. Sementara pesawat latih Grob G120TP-A telah lengkap datang 18 unit berikut simulatornya dan akan ditambah lagi enam unit. Kemudian Skadron Udara UAV telah siap di Lanud Supadio, Pontianak. 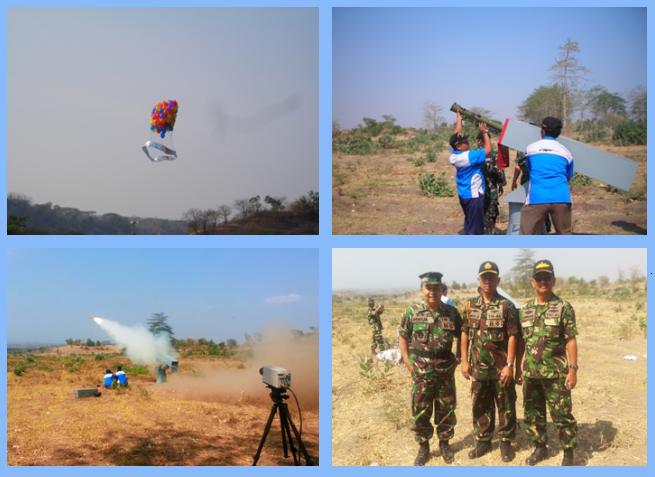 Dua unit UAV yang dibeli dari luar negeri saat ini telah datang dan akan memulai latihan pengoperasiannya. Rencana lain dalam waktu dekat adalah pembentukan Lanud Tipe C di Liku, Sambas, Kalimantan Barat. TNI AU telah mendapatkan tanah pemerintah daerah setempat seluas 100 hektar. "Seluas 60 hektar akan digunakan untuk apron, aerodrome, dan perkantoran. Sedangkan 40 hektar lagi untuk perumahan personel lanud," ujar Sudipo yang telah meninjau langsung daerah ini. Disebutkan, di Liku saat ini terdapat landasan pacu sepanjang 750 m dan akan diperpanjang menjadi 2.500 m sehingga dapat didarati pesawat C-130 maupun B737 series. Pembentukan lanud baru juga akan dilaksanakan di Sorong atau Manokwari. Pertimbangannya, karena antara Morotai dan Biak tidak ada lanud penyangga. "Sorong juga akan menjadi balancing TNI AU dan TNI AL yang akan membangun komando armada maritim baru. Selain juga untuk mendukung kegiatan operasi di Papua Barat," papar Asops KSAU. 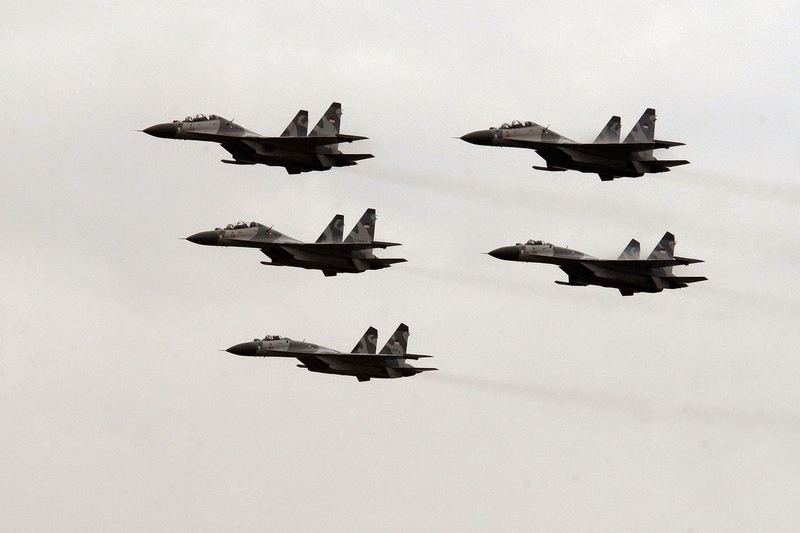 Memasuki tahun 2015 atau MEF II, TNI AU telah mencanangkan pengganti F-5E/F Tiger II. Pesawat apa yang akan dibeli, masih dibahas di Kementerian Pertahanan. "Intinya, kami ingin yang terbaik di eranya. Tapi, apapun keputusan pemerintah, kami harus loyal," ujarnya. Saat ini beredar kabar Su-30 atau Su-35 yang akan dipilih. Pertimbangan dari sisi pemeliharaan dan operasi, TNI AU sudah familiar. Sementara untuk simulator Su-27/30 TNI AU merencanakan pembangunannya tahun ini di Makassar. TNI AU juga akan mengganti pesawat Fokker F28 dan B737-400 dengan pesawat B737-700 BBJ. Berikutnya adalah rencana pembelian jet tanker. "Opsinya dua, KC-767 dari AS atau Il-78 dari Rusia. Jet tanker diperlukan untuk mendukung operasi jet tempur sehingga bisa beroperasi penuh di udara dari Sabang hingga Merauke." Selain melengkapi armada penempur, TNI kini juga tengah menambah jumlah radar. Dari 32 radar yang dibutuhkan, saat ini sudah terpenuhi 23 radar. Selain pembentukan satuan radar, TNI AU juga menambah mobile radar sebagai gap filler seperti di Nunukan, Kalimantan Utara. Berbagai upaya peningkatan alutsista dan kemampuan ini, kata Sudipo, adalah untuk meningkatkan deterens. TNI AU yang kuat akan dapat menghadapi berbagai ancaman, baik perang konvensional maupun perang informasi. KUALA LUMPUR (Bernama) -- Prime Minister Datuk Seri Najib Tun Razak announced a RM27.6 billion allocation to beef up National security, increase the level of safety and public order when tabling the 2015 Budget in Dewan Rakyat Friday. Najib who is also the Finance Minister said to increase the level of safety and public order as well as national security, RM17.7 billion would be allocated to the Armed Forces, RM9.1 billion to Police and RM804 million to the Malaysian Maritime Enforcement Agency (MMEA). In efforts to reduce crime rate in the country, the government will increase the intake of policemen by 11,757 personnel, build 14 police headquarters and police stations including a new block for the Perlis police contingent. To strengthen the presence of police and patrolling, Najib said 1,000 units of motorcycles would be purchased while an allocation of RM121 million is provided for police to implement various programmes under the National Key Result Areas. The Prime Minister said to increase the readiness of the Armed Forces personnel and assets, RM7 billion will be allocated to purchase and maintain defence assets as well as to improve the welfare of armed forces personnel, including health services and housing. 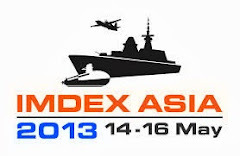 To improve maritime safety, the MMEA will be allocated RM393 million to improve the operational efficiency and the purchase of seven new patrol vessels, said Najib. He said RELA, under the Home Ministry will continue to be a voluntary agency to assist the security forces to maintain peace and security of the nation, a sum of RM117 million will be allocated for training and capacity building. In a pre-bid conference for the procurement of two anti-submarine warfare (ASW) helicopters held Tuesday, October 7, four prospective bidders attended. 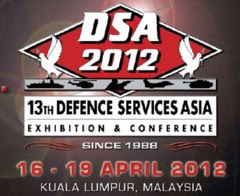 AugustaWestland, PT Dirgantara Indonesia, Israel Aerospace Industries and the partnership of Bell Helicopter Asia (PTE) Ltd. and Serpenair Group Inc. attended the conference. First stage bidding will be held on October 21. Firms mentioned above are expected to submit their individual bid for the PhP5.4 billion helicopter procurement project. Under Medium Term Development Capability Plan of AFP Modernization program, winning bidder must deliver goods within seven hundred thirty days after receiving the notice to proceed. Early report said that AgustaWestland is a strong contender in the said project and will offer it’s AW-159 “Wildcat”. AgustaWestland is the manufacturer of Philippine Navy and Air Force’s armed AW-109 to be delivered before the year ends. 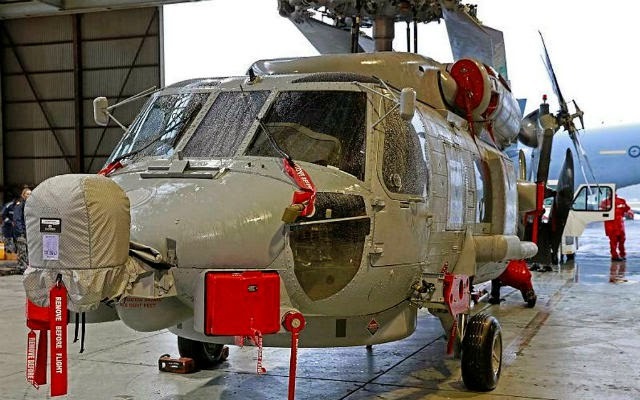 Specification of two ASW choppers includes endurance of at least two hours in ASW configuration, range of 240 nautical miles in full ASW configuration and has Identification Friend or Foe (IFF)/Selective Identification Feature (SIF). Jakarta (ANTARA News) - Sejalan dengan visi TNI AL, perairan regional di barat akan juga dijangkau TNI AL, di antaranya oleh jajaran Gugus Tempur Laut Komando Armada Indonesia Kawasan Barat TNI AL. Perairan yang dimaksud itu juga termasuk sebagian Samudera Hindia timur. "Oleh sebab itu, gugus tempur ini harus mampu meningkatkan manajemen kinerja yang efektif dan efisien," kata Panglima Komando Armada Kawasan Barat Indonesia TNI AL, Laksamana Muda TNI Widodo, dalam sambutan pada serah terima jabatan komandan Gugus Tempur Laut Komando Armada Indonesia Kawasan Barat TNI AL. Pejabat lama adalah Laksamana Pertama TNI Didik Setiyono kepada Kolonel Pelaut TSNB Hutabarat, di Markas Komando Armada Kawasan Barat Indonesia TNI AL, Jakarta, Kamis. Komando Armada Kawasan Barat Indonesia TNI AL membawahkan beberapa satuan, yaitu Gugus Tempur, Gugus Keamanan, Satuan Pasukan Katak, dan pangkalan-pangkalan. TNI AL telah menetapkan visinya menjadi angkatan laut berkelas dunia, yang tidak hanya modern dari sisi arsenal dan perlengkapan perang, namun juga dari sisi personel, organisasi, dan kemampuan operasi. 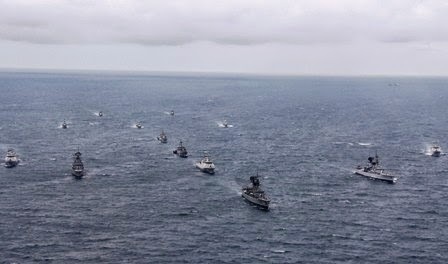 "Ke depan, Gugus Tempur Laut Komando Armada Kawasan Barat Indonesia TNI AL beroperasi di kawasan regional," katanya.